Blooming Designs is a design studio based in Hampshire, UK. 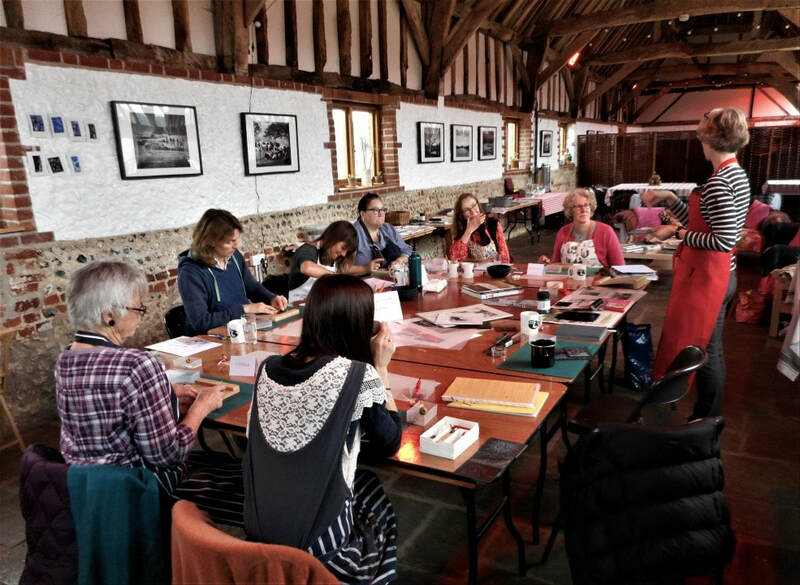 We run Art Workshops for the beginner and more experienced artists, in an 18th century restored barn, at the beautiful location of Meon Springs, in the Upper Meon Valley. The next series of Art in The Barn workshops will take place between 20th and 24th June 2019. The recently restored thatched barn at Meon Springs, Whitewool Farm is the home of "Art in The Barn"
With excellent natural light and superb views over the South Downs, it holds a unique and inspiring space. 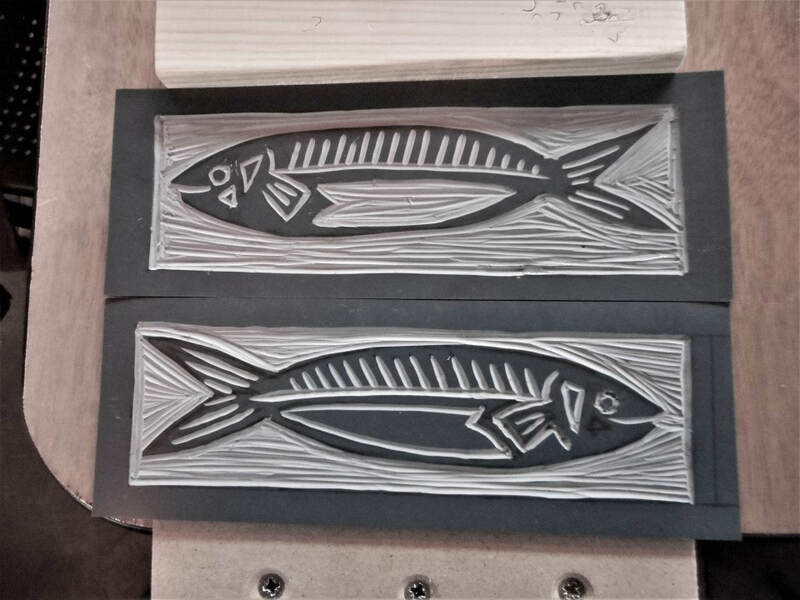 This event is a collaboration between artists Alison Butler (Blooming Designs) and Liz Wellby, who met at Loughborough University whilst studying for degrees in Textiles and Sculpture in the late 1980’s. "Our aim is to offer a series of creative opportunities to bring together like minded people, in an inspirational setting." Each course is suitable for all abilities and experiences. The ambience and relaxed atmosphere of the 18th Century Barn make it a real retreat from day to day life . 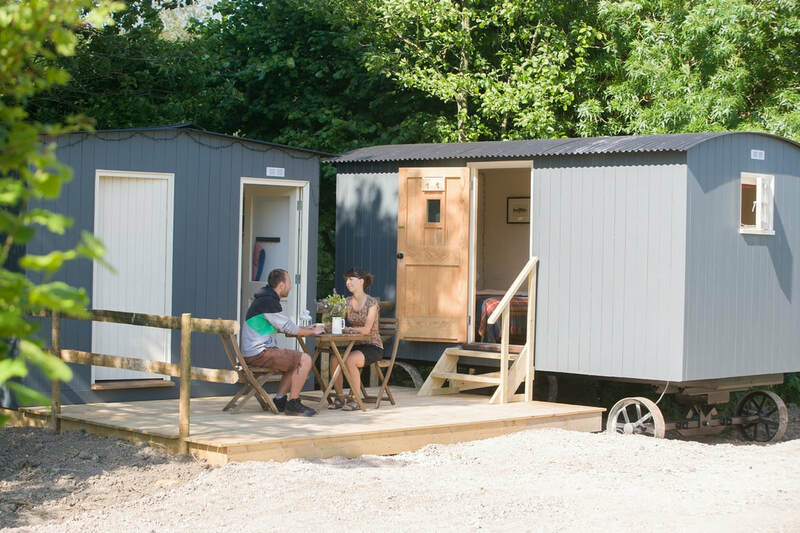 Meon Springs is home of six cosy yurts and six Shepherd's Huts, all within walking distance of the barn. Availability and booking can be found by clicking here.